Students from the Midwest Clontarf Academy travelled from Geraldton to Melbourne as a reward for participation and effort in school last week. Once they complete school at the end of the year, they will be the largest cohort of indigenous students to complete school together in Australia’s history. 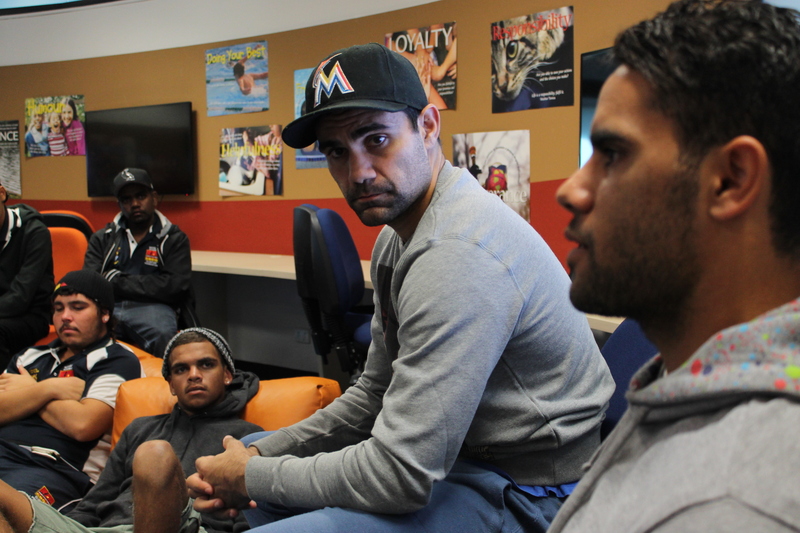 They joined us at The Huddle to talk to our amazing indigenous players, Daniel Wells and Lindsay Thomas. Both Wells and Thomas spoke of their past, their entry into footy and the opportunities that AFL has given them. They emphasized that a positive attitude, learning to be a leader (not a follower) and working hard is what helped them to be successful in AFL. They also spoke of their desire to give back to community and to support indigenous people. 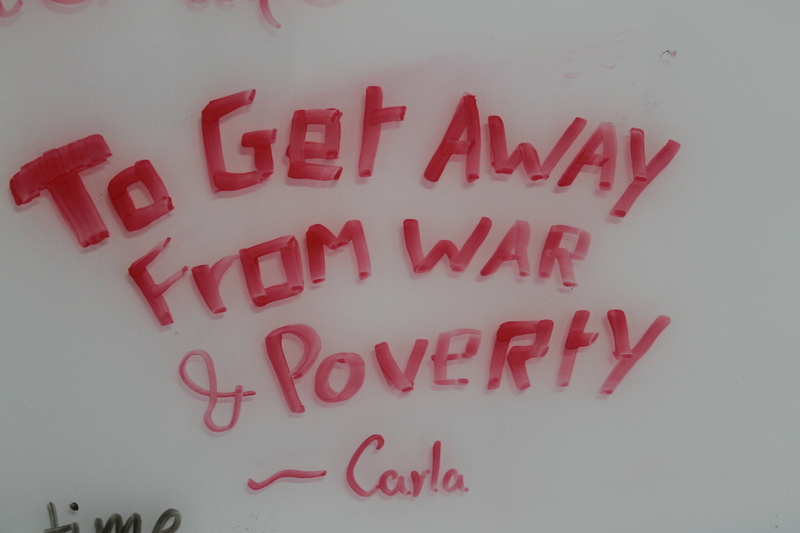 Their generosity, gratitude, enthusiasm and modesty were all noted. The discussion enabled students to consider career paths and how to make the most of opportunities that come their way. 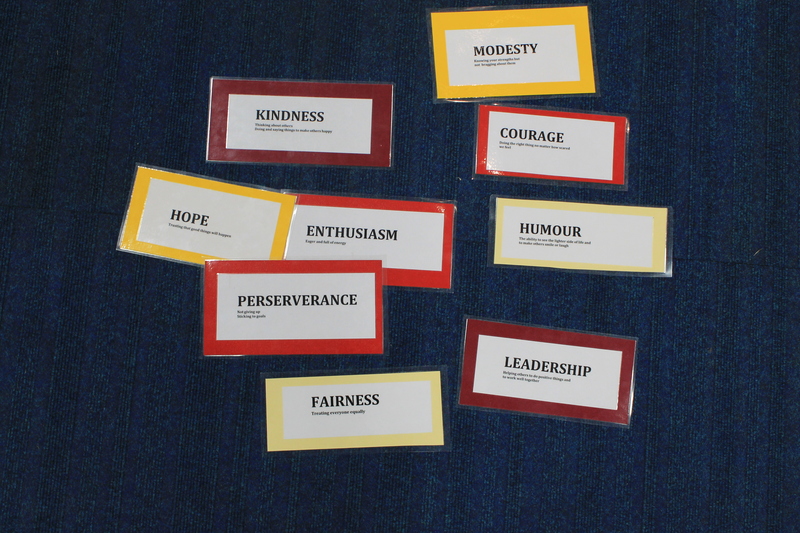 Below are the strengths of character that the students identified in Wells and Thomas after talking with them. Conversations like these inspire young people to make plans, set goals, gain confidence and understand themselves and their place in the world. The Midwest Clontarf Academy’s logo “From Little Things, Big Things Grow” reinforces our work at The Huddle where connecting with players and others in the community helps all of us to listen, to be empathetic and to grow. The Huddle is positioned perfectly to explore the values that guide people’s lives and help them to reach their potential. Using the stories of North Melbourne Football Club (NMFC) players, young people are able to identify what keeps footballers motivated, disciplined and ready to meet the challenges of being an AFL player. All visits to The Huddle aim to build identity and a sense of community. The Schools Program also embeds positive education, digital technology and student creativity as a path towards students viewing them selves positively and feeling empowered. Middle and Later Years students from a wide range of schools visit The Huddle to further their understanding of self and others, through discussion with players, reflection activities and digital storytelling. 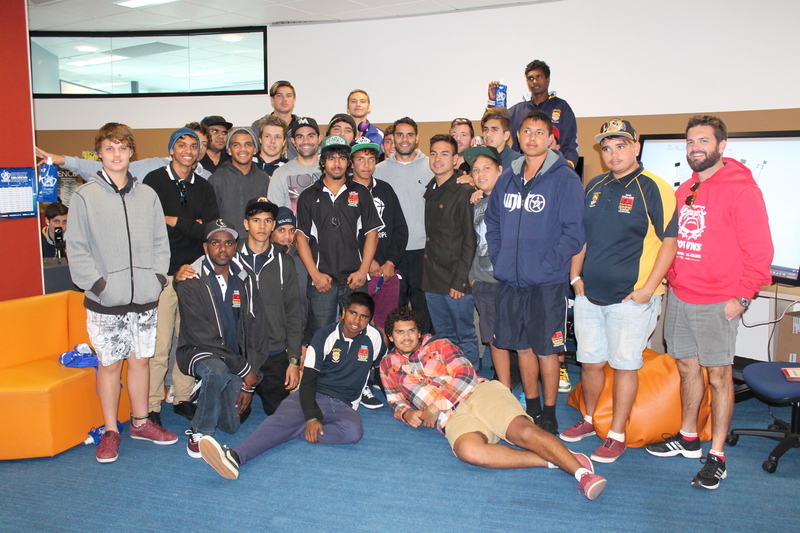 Recently I hosted groups from rural Victoria and suburban Melbourne taking part in The Huddle’s “Character and Careers” program where they listened to the journeys of AFL players at NMFC. 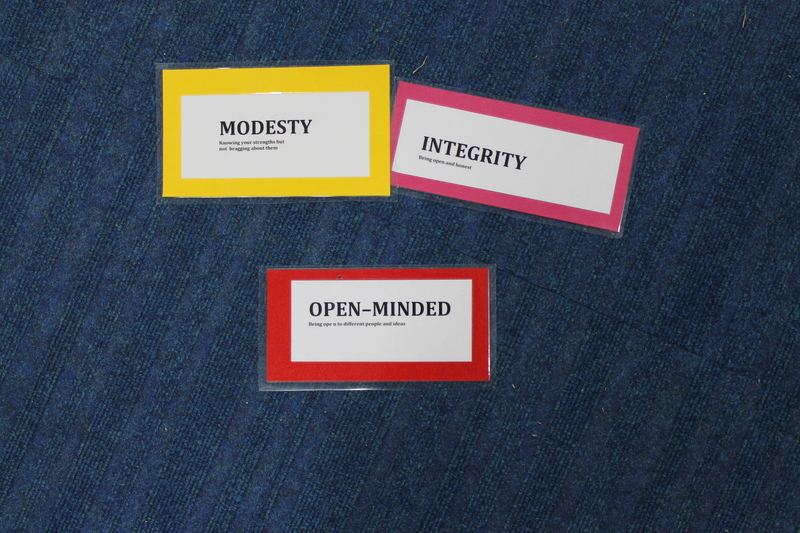 The program begins with the vocabulary, exploring strengths of character and building language to do this. 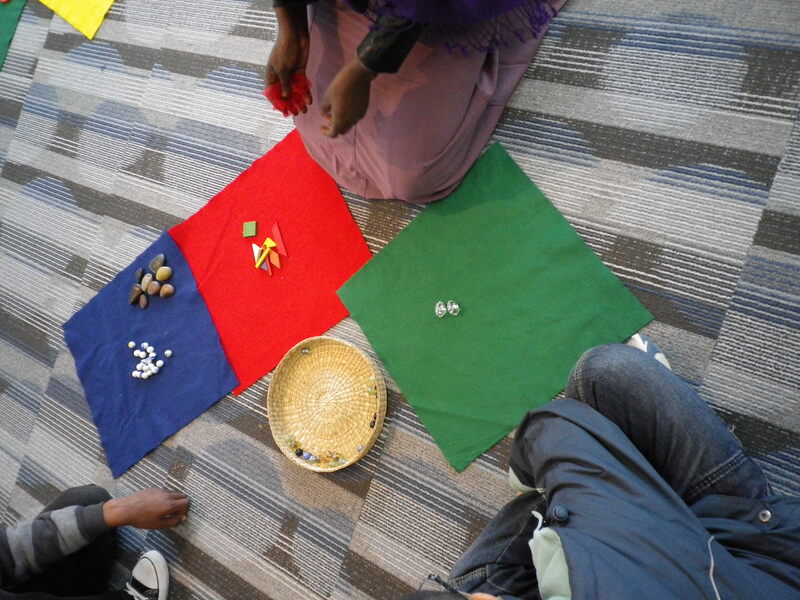 The aim is to understand each word or concept by identifying connections and differences through an activity I call “a community of inquiry”. This supports us all to reach a common understanding about each word and for EAL students (bilingual students who are new to English) to uncover and discuss meaning. I use nouns on cards and I weave in verbs, synonyms and antonyms as well as paraphrasing with examples and stories to support students to visualize the concept in practice and to practise each word. From here, students may also identify strengths that they think would be useful in particular lines of work. The group then meets a player from the NMFC list, who is asked about his journey into AFL – from childhood to the present day – and his hopes and aspirations beyond football as well as the strengths he draws upon to meet the challenges of being an elite sportsperson in the AFL. Students ask a great range of questions and players answer openly. To complete the time spent with the player, the students are asked to identify 3-5 strengths that they think are most evident – the ones in the photo above were selected for Jamie MacMillan (player 34) with modesty being the quality they noticed to be strongest. The player will then comment and make any changes that he thinks are more applicable to him as a footballer. After this focussed discussion time, individually, the students explore videos of players on the same theme which we have filmed at The Huddle. They report back to the group on the character strenghts that they noticed and give examples of these in action, drawing on the stories they have listened to. 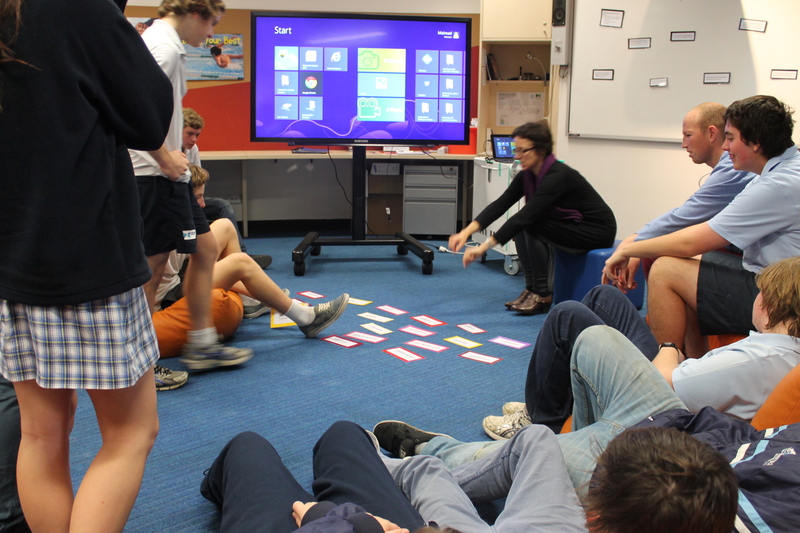 To complete the program, in pairs, they use Windows 8 Mind Mapping software – Nova or Mind8 – to consolidate their learning by documenting the stories around a key strength relating to NMFC players or to them selves. I have found this to be an effective way of supporting students to understand others and to begin to reflect upon them selves. By scaffolding and recycling the language and by identifying strengths in others, they become more able to identify positive qualities and activities in them selves and to focus on strenghts rather than on weaknesses. The Huddle creates a safe space for learning through discussion. 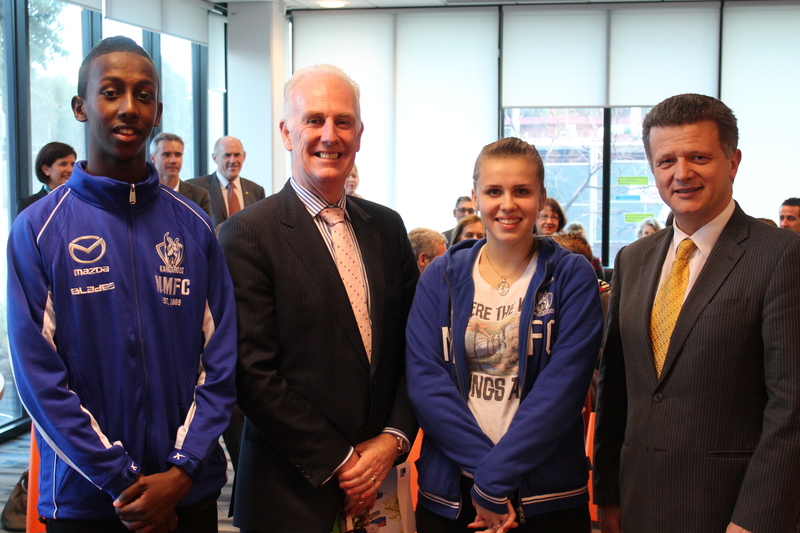 The players are honest and articulate their hopes – they “speak to” young people which supports open discussion. 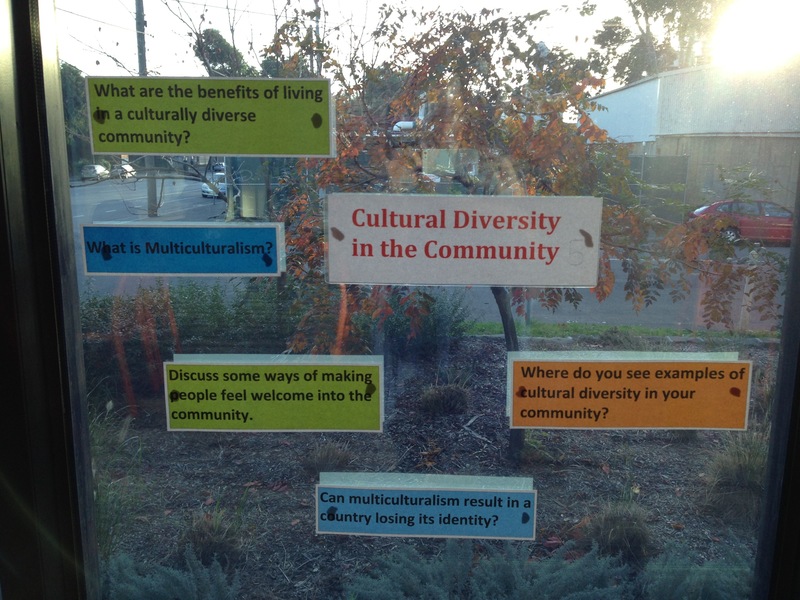 Given events in the AFL over the past two weeks, the discussions have also included attitudes towards racism, where students have built understanding around the #racismstopswithme campaign and identified areas for improvement in their own schools. It is a privilege to provide a context where the issues and events surfacing from AFL in the media can be discussed openly with young people and used to build intercultural understanding and social cohesion. What does learning look like at The Huddle? At The Huddle we view students as creators. 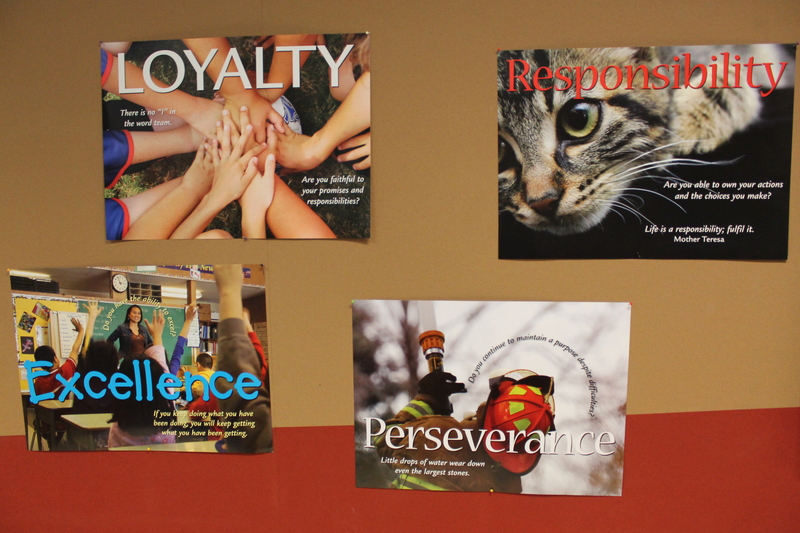 We aim for students visiting the Huddle’s classroom to be adaptable, build a sense of belonging and have a voice. Students visit The Huddle for one-off visits so the challenge we face is to engage them in learning over an intense period of 3-4 hours. 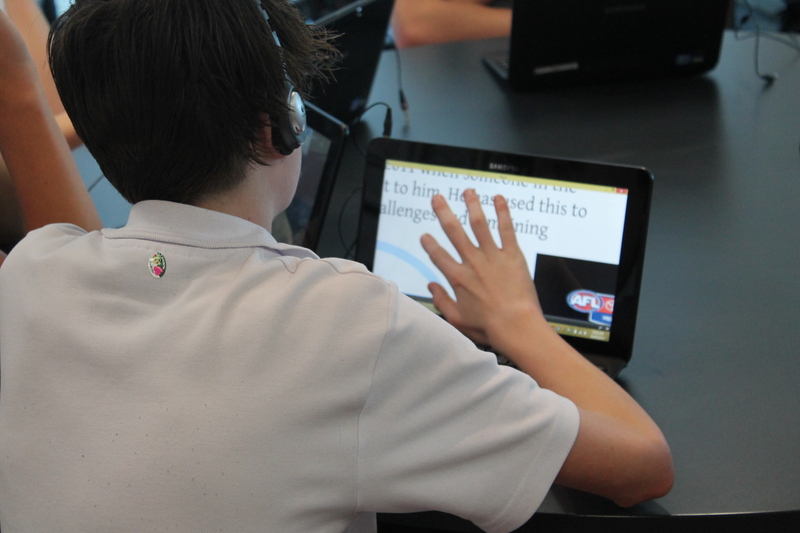 Each program asks the students to create a digital story or presentation – often on video, with stills or using Comic Life. Each item created at The Huddle is sent back to the students as a record of their creativity, their stories and learning on the day. In order to build strong and happy individuals, young people need to have a sense of belonging. They need a community that supports the strongest and the weakest, adapts to need and enables those born within and beyond a community to mingle, appreciate achievements and welcome ideas and innovation. At The Huddle, we provide a safe space for building belonging through discussion, sharing experiences, listening to guest speakers, recording our experiences in digital formats and sharing some of them online and in the physical space. 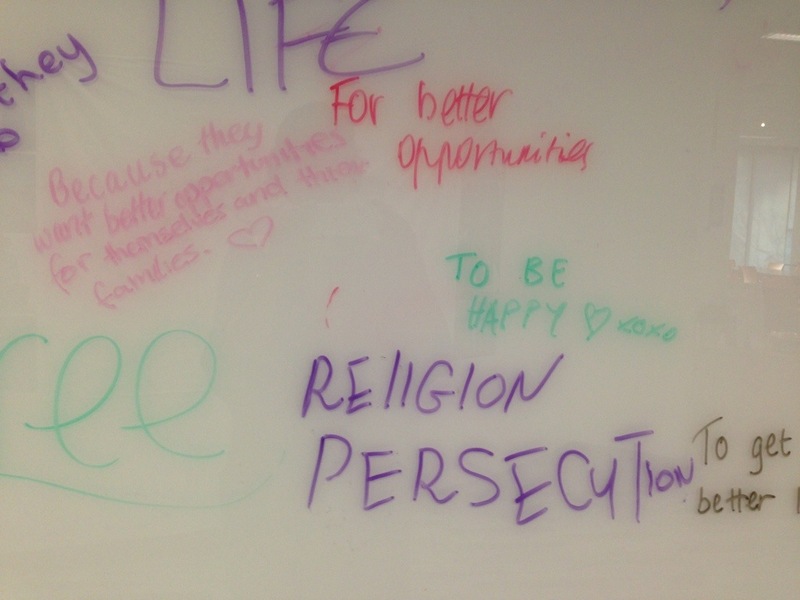 The Huddle classroom creates a safe space for students to share experiences of migration, settlement and a range of challenges they face in their daily lives. We provide props to support students with storytelling which takes the focus away from their faces and enables student voice to be clear without input from a teacher or adult. Students express opinions and relate experiences at The Huddle through video, stills, comics and discussion. Adaptability is pivotal to community harmony in an era of increasing global mobility, technological innovation and a significant shift in work practices and institutions. If students are to succeed in competitive and changing contexts, they need to be adaptable to new technologies and new ways of working, including ways of working in teams and by themselves. Given the large numbers of migrants in The Huddle’s learning community, we cannot assume a dominant culture. Rather, we acknowledge diversity and prepare learners for linguistic, cultural, technological and social adaptability. 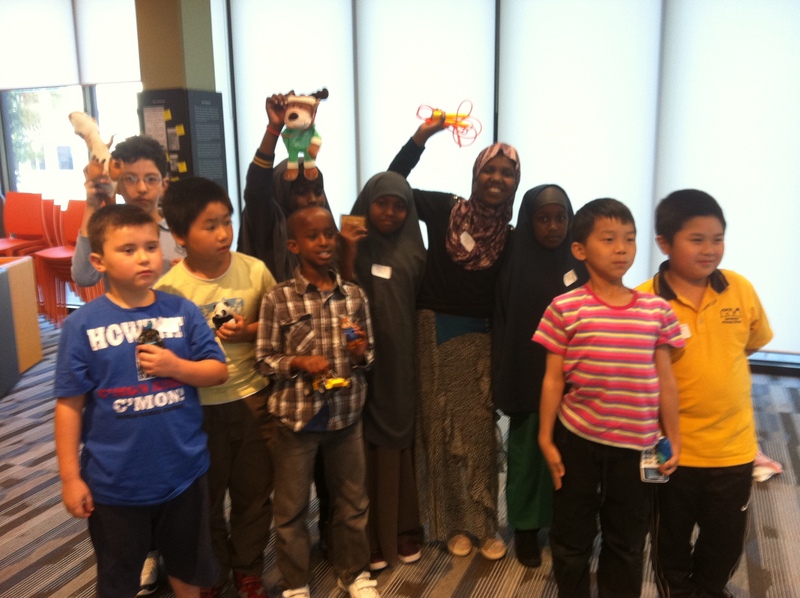 We highlight the great range of languages, skills, cultures and interests among the group. We hope that the focus on creativity, belonging, student voice and adaptability all contribute towards a transformational notion of education. We have plenty to learn from the young people we teach and from each other – being open-minded and ready to engage with this builds understanding and increases learning and positive attitudes towards education and indeed towards each other. Author maireadhannanPosted on May 22, 2013 August 30, 2016 Categories education, Education for Everyone, Innovation and Technology, TESOL and bilingual students, The HuddleLeave a comment on What does learning look like at The Huddle? 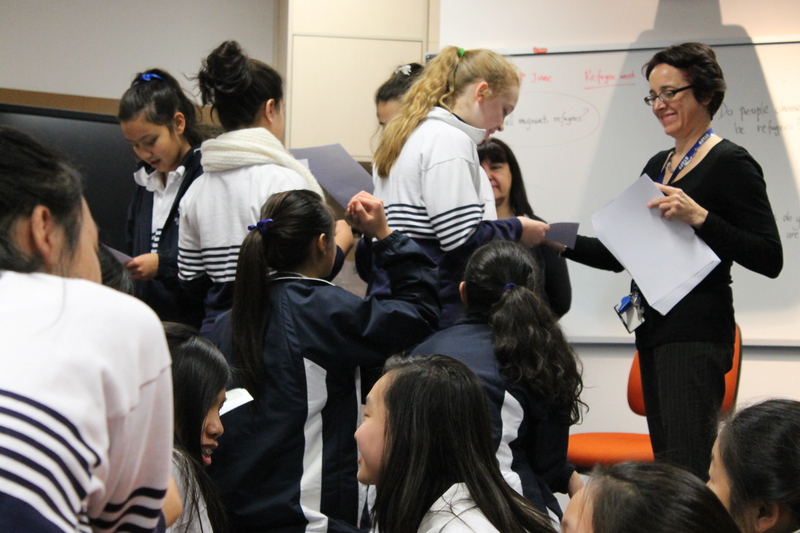 This month secondary students aged 13-14 have been coming to The Huddle to investigate migration and multiculturalism. They do this by listening to stories from recent migrants recorded at The Huddle and by exploring stories of migration to Victoria over time. Of the groups who have already visited, about 80% of them have parents who were born overseas. Despite this they initially appear to have limited knowledge of their families’ experiences. Another 10% were themselves born overseas and this group tends to know and be willing to share more about the journey, the reasons behind their parents’ departure and the circumstances in the countries they left behind. It has been interesting to note that about 90% of these students speak a language other than English at home and in the community. Many students of African and South American heritage know about their countries’ political situation in some detail – of dictators, changes in government, elections, war, gangs and freedom (or lack of). Students research a country of their choosing using the Immigration Museum’s Origins website that provides information gathered from the census on migration to Victoria. They learn 5-10 words in a new language and take note of their heritage by placing a mark on a world map. They discuss what multiculturalism looks like in Melbourne and record each others’ views on how or where they feel they belong using Flip Cameras. Their observations are always intriguing. 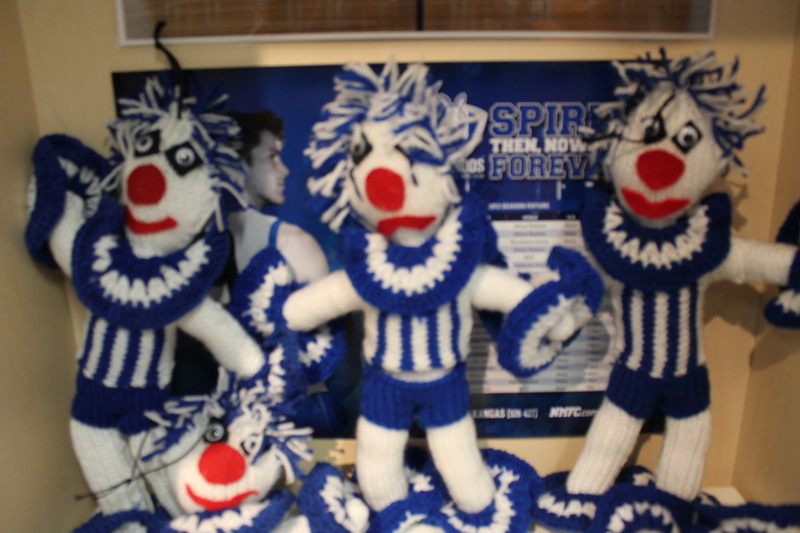 The Huddle has developed a new program at The Huddle for middle years students where they explore how people overcome challenges through the stories of footballers here at The North Melbourne Football Club (NMFC). 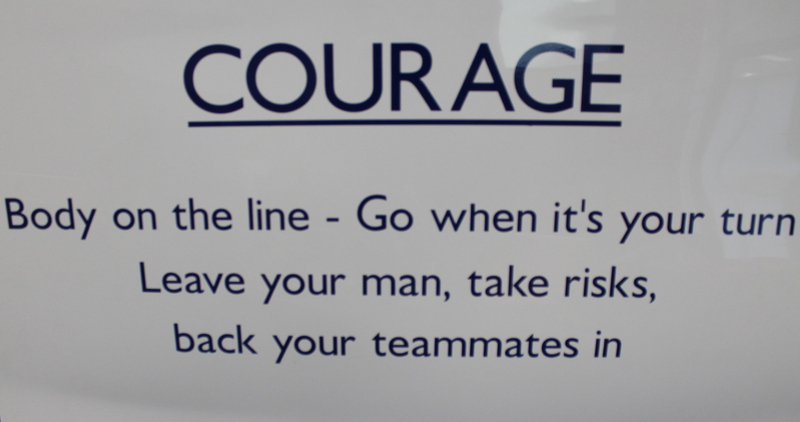 They identify the personal qualities they and the footballers draw upon to help them get through any challenges they may face. By creating a safe space at The Huddle, students go on to share their own stories in small groups and do a role-play to share with the whole group. Emoticon has been a popular program and I have found the challenges that students are facing very interesting – moving to a new country, making friends in a new school, being bullied, being addicted to computer games, maintaining friendships, co-operating with siblings, learning in a new language, improving a skill, learning to be organized, hating maths, forgiving, fearing the water, hating their handwriting, feeling included in sport and so forth. Fairness often surfaces, and often relates to interaction with siblings which students agree seems to be an area rife with conflict. They have also noted that we often hold grudges longer and co-operate less readily with siblings than with friends. Even more interesting has been the ability of young people to find solutions and support each other as well as seeing a light side to a situation while they are learning to deal with it and analyzing it – their ability to laugh it off! Finding solutions is supported by group work and by the use of new technologies in The Huddle classroom. 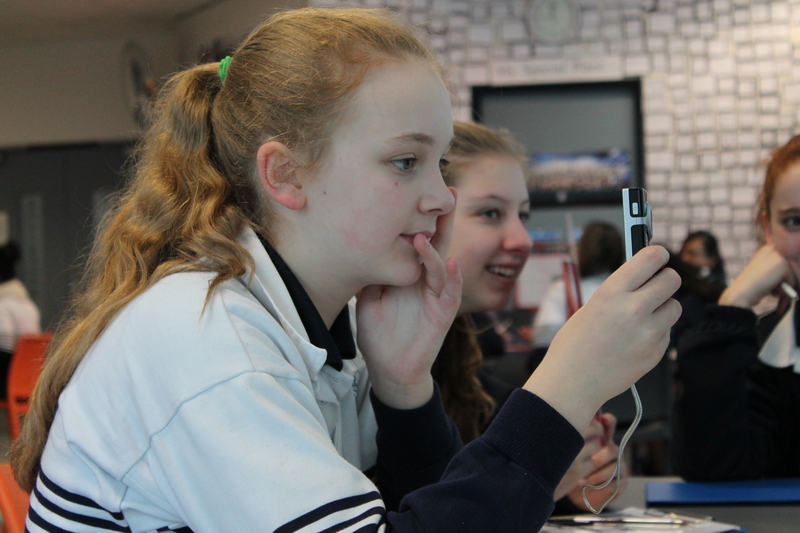 Once the students have reflected on their stories and identified a personal quality relevant to overcoming their challenge, they then go on to take photos and write captions – they make a poster about it using Comic Life. As we may expect, young people are used to the camera and use it freely to express their emotions and relate their story. 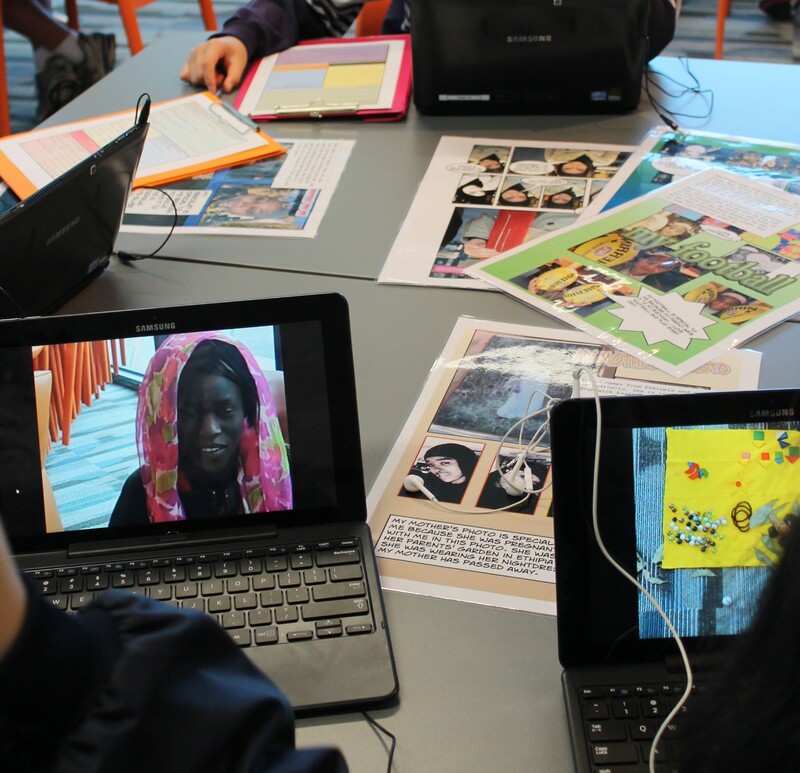 Students from diverse cultural backgrounds pose and pull faces to generate a story in a digital format using their own language and expression – and those who are literate in their first language also use it in their poster. 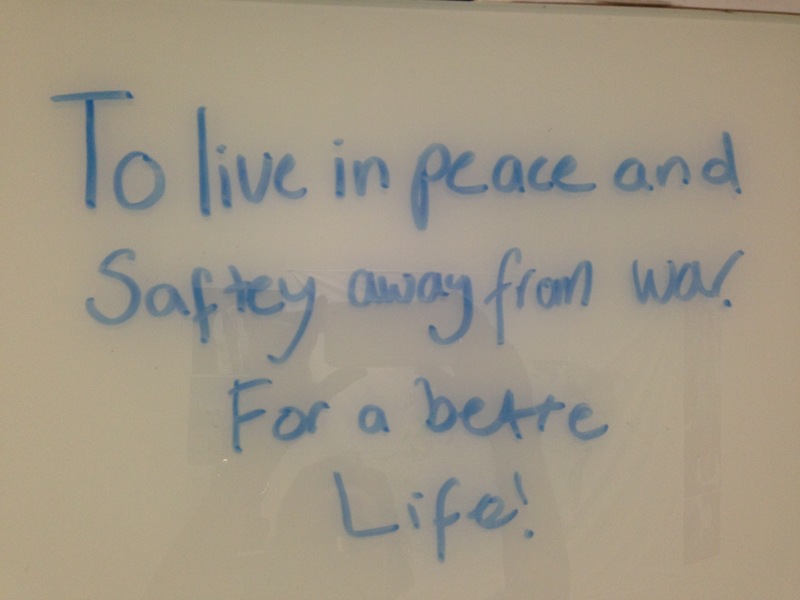 It is rewarding to see how students develop the language and concepts that enable them to discuss challenges openly. This is enabled by the honesty of the NMFC players and the challenges they have faced in recent times. Each player is interviewed to uncover a different sort of challenge, whether it be mental, physical or social – Lindsay Thomas and his lack of form in goal kicking in 2011; Leigh Adams and the “chicken-wing incident” in 2012; Majak Daw‘s entry into AFL and supporting his family to understand what being a professional athlete entails; Andrew Swallow as leader of the team; Jack Ziebell and the controversy around being reported in 2012. The honesty and clarity of each player around their challenge and exactly how they overcame it, who supported them, the personal qualities and inner strength they had to find and the positives they gained from what could have been a negative experience all contribute towards a healthy discussion and open-minded outlook. Having seen that other young adults, in this case NMFC players, are willing to share their challenges, creates a safe space for students to explore them selves and others.